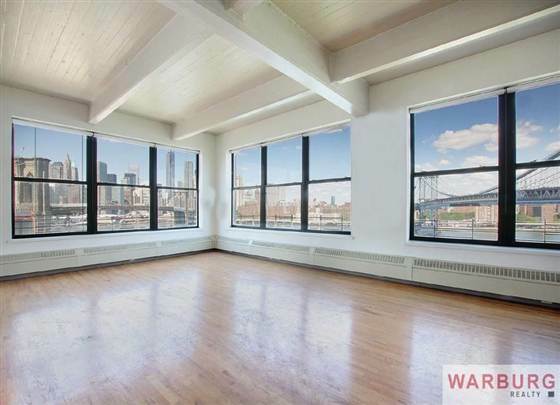 >> Anne Hathaway is selling her Brooklyn apartment (below). And I love the way Today reported it: "Actually, a clarification: Anne Hathaway is selling her Brooklyn closet." Apparently the actress never moved into the apartment, but used it to store clothes while she and her husband lived in another unit in the building. And it&apos;s on the market for $4.5million. How&apos;s that for a walk-in wardrobe? >> By now, you&apos;ve probably seen - or at least heard about - the video clip for Miley Cyrus&apos; latest single, &apos;Wrecking Ball&apos;, in which the starlet sits on a wrecking ball in various states of undress, licks a hammer and generally looks quite angsty. 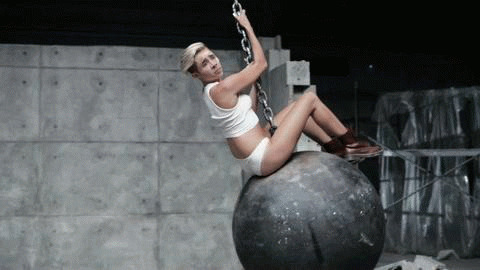 Well, somebody out there in Internet land decided the video could be enhanced... by super-imposing Nicholas Cage&apos;s face onto Miley&apos;s body. Watch it here. 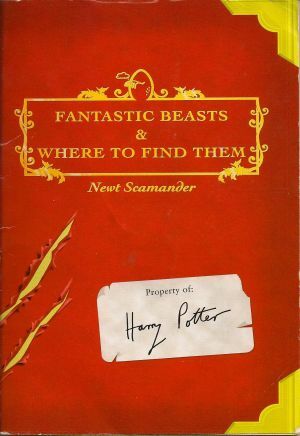 >> Harry Potter author J.K Rowling and Warner Bros announced that her Hogwarts textbook, Fantastic Beasts and Where to Find Them, will be turned into a film that follows the adventures of the book’s fictitious author, Newt Scamander. More details here. 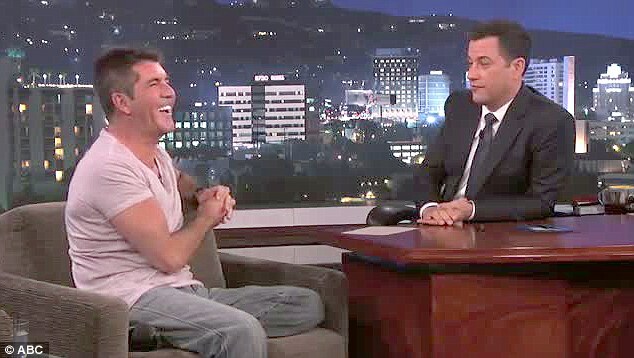 >> Simon Cowell confessed to talkshow host Jimmy Kimmel that while he now enjoys a close relationship with his mother Julie – a socialite and former ballet dancer – he didn’t recognise her for the first years of his life because he was raised by nannies. >> Robin Williams has given an interview to Parade magazine confessing the reason he&apos;s returned to TV in The Crazy Ones - starring opposite Sarah Michelle Gellar - is because he needs the money: "Divorce is expensive. I used to joke they were going to call it &apos;all the money,&apos; but they changed it to &apos;alimony.&apos; It&apos;s ripping your heart out through your wallet." >> A Middle Eastern prince donated $500,000 to the Hurricane Sandy relief effort in exchange for 15 minutes of face-to-face time with Kristen Stewart. According to our calculations, that&apos;s just over $33,000 per minute, or $555.55 per second. No pressure on K-Stew or anything. >> Emily Blunt confirmed she&apos;s pregnant with her first child to husband John Krasinski. "They both want kids, it&apos;s one of the reasons they got a bigger place, in a neighborhood that you can raise a family," a source told US Weekly. 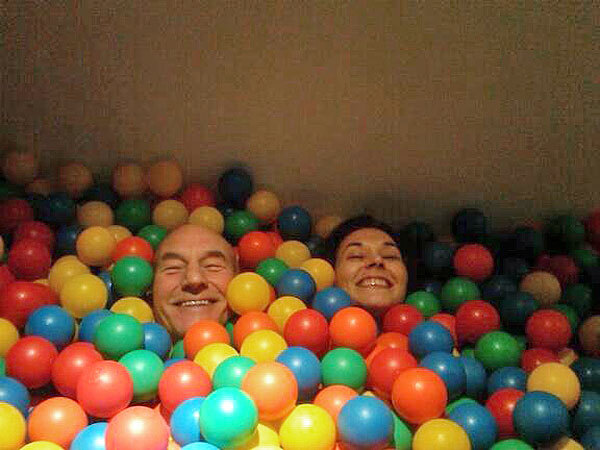 "They both couldn&apos;t be more excited." >> It was revealed that Dakota Johnson, the newly signed lead actress in the 50 Shades of Grey movie (and daughter of Melanie Griffith), dating 27-year-old actor Jordan Masterson, who is the son of former Roosters player Joe Reaiche. The 55-year-old footballer told the Daily Mail he hadn&apos;t seen Jordan in nine years due to their affiliation with the Church of Scientology. Joe was excommunicated from the church in 2005. >> The Hollywood Reporter (THR) has published an expose on Katherine Heigl&apos;s difficult reputation, alleging it&apos;s costing her roles in Hollywood. Read what the disgruntled sources had to say here. >> Gwyneth Paltrow and her daughter Apple narrowly missed a collision with a school bus in LA. See the scary footage here. >> Rove McManus and and wife Tasma Walton announced they are expecting their first child. 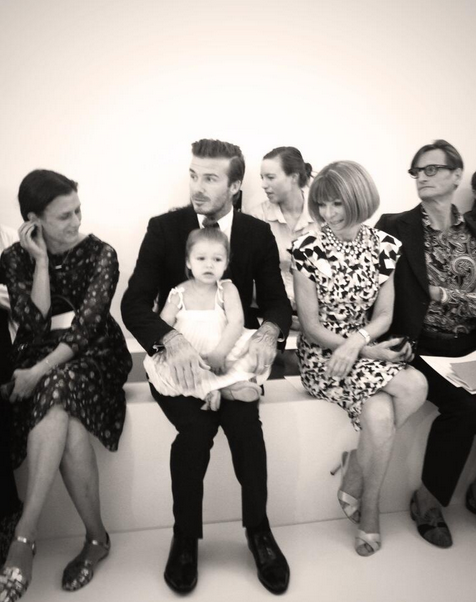 >> Vogue editor Anna Wintour sat front row at Victoria Beckham&apos;s presentation at New York Fashion Week next to the Spice Girl-turned-designer&apos;s husband David and their daughter Harper ... and proved she DOES smile. >> Aussie actor Mel Gibson has had another run in with the law when he was pulled over in Malibu on the same stretch of road where he was famously busted for a DUI in 2006 and let fly with an anti-Semitic rant. This time he hadn&apos;t been drinking but when asked to produce his license, he didn&apos;t have it. That&apos;s when he - predictably - lost it. When he was asked to proceed to a secondary check point, Mel reportedly started screaming. Police let him off with a warning. For a heap more gossip, head to iVillage.